Bee sting. Uh oh. ER. It’s a beautiful sunny, Sunday afternoon. I’m walking on the beach with best husband and without any warning or provocation, I get a bee sting on my little toe. I’m pretty sure I’m not allergic, so, no big deal. I soak my foot in the lake for a few minutes to take the edge off the pain and try to walk if off. My toe continued to ache the rest of the night and the next day, but hey, it’s a bee sting – it’s supposed to hurt, right? The next morning I got up early for a bike ride. but was feeling a little achy and stiff. Am I getting to old for this? I didn’t even think about the bee sting, which still aches. Best husband and I started out and got the hills over with in the first part of the ride. Finally with 10 flat miles in the home stretch I think “This should be a cinch. ” But it wasn’t – it was feeling harder than it should for a flat ride. And I’m starting to ache and ache and ache some more. 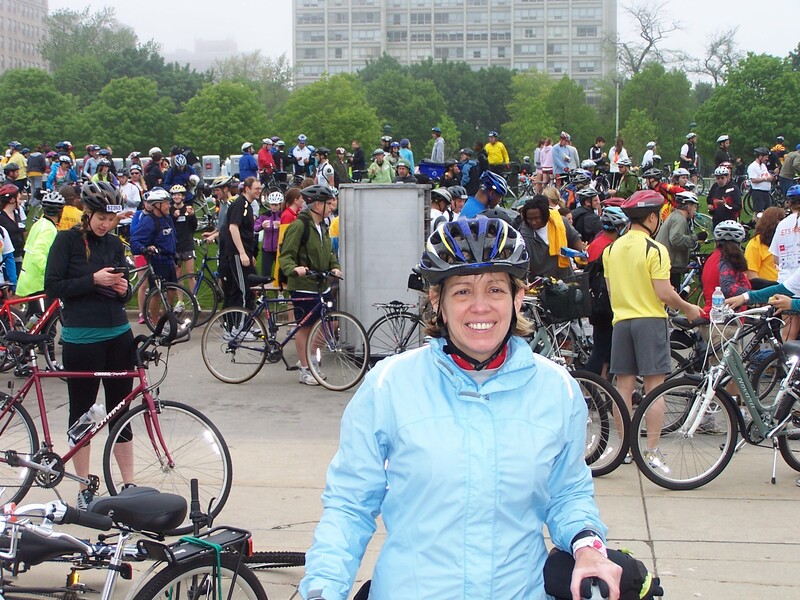 “I really AM getting to old for this,” I rationalize as I finished the ride. By the time I get the bike gear put away and get into the shower, I’m shaking with chills, aching like the worst case of flu anyone could ever have, and just plain worn out. And it continued – all day. I knew what the problem was but didn’t want to admit it. Despite the fact that my toe did not look too bad, I knew I was developing cellulitis, an infection of the skin and surrounding soft tissues, from bacteria introduced from the bee sting. The stinger acts just like a needle, bringing infection quickly into even a robust, healthy person like me. You might as well just inject yourself with a syringe-full of germs and save yourself the trouble of going through the sting. But hey, I’m on vacation. Maybe it’s not cellulitis – maybe just a virus. So, I waited. I dragged myself through the day trying to do family vacation stuff. But I felt worse and worse. By the time we had an afternoon tea party with first granddaughter, I was too tired and aching to even crawl down onto the floor to join her. A long nap while swathed in blankets failed to revive me. Finally, by 9 PM I succumbed and went with best husband to the small town emergency room. Despite the Mayberry-like atmosphere, the ER staff was professional and efficient. “Hmmm,” the ER doctor said, after greeting me with “How do you do?” a salutation I confess with which I’ve never been addressed by anyone, anywhere. “Fever and chills less than 24 hours after a bee sting? We’d better do…blood cultures!” This sounds serious. By now I’m wishing I hadn’t waited ALL DAY to get here, something that surely would have sparked a lecture from me to any of my own patients who had done such a foolish thing. Meanwhile, three warm blankets and my husband’s sweatshirt (Michigan of course) are still not keeping away the chills. Best husband settled down with his book while I shivered and waited out the tests. Well, I dodged the bullet and turned out pretty okay – a localized infection, but not body-wide. So I went off with antibiotics and the stern lecture to come back the INSTANT anything became worse. Did I recover? Several days later I was completely back to normal and no longer questioning if I was getting to old for cycling. And of course I had a dramatic story with which to regale anyone who was willing to listen, about my vacation trip to ER in Mayberry. Remember that old insurance commercial where a disaster has occurred and the commentator says seriously “Don’t let this happen to you!” Well, don’t. If you get a bee sting, a scrape or cut and start to feel signs of infection like fever, chills, body aches, redness, swelling, take it seriously and get health care promptly. I don’t want to lose any of my readers to a bee sting. This entry was posted in Health and Wellness and tagged Bee sting, Bites and Stings, cellulitis, Michigan, postaweek 2011, vacation by Huffygirl. Bookmark the permalink. My wife is allergic to bees, so this is very much a part of our lives. Fortunately I haven’t had to stab her with an Epipen yet. Oooh, you got me Margaret. I make a very bad patient; all the way there I kept telling my husband I didn’t want to be the patient. I should give myself a stern lecture to never let anything like that happen again! Oh man — scary. If that had to happen to me, I wish it’d happen during a work week and not my vacation! Exactly. I guess that’s why I dawdled around so much about taking care of it – I didn’t want my vacation interrupted. Of course if it had become more serious and I ended up staying in the hospital, that would have been even worse, so logically I should have taken care of it right away to avoid that. I learn something new everytime I read your blog. 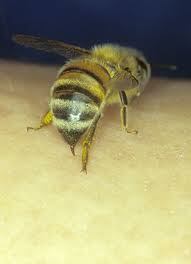 I didn’t know that a bee sting could cause a localized infection. Thank you. And, I’m so glad that you recovered! Thanks Theresa. I’m glad I could share something new (even though I didn’t enjoy going through it at the time) and I hope you don’t ever need to know that information. Glad you’re OK, but worse than losing readers because of a bee sting, there’s what people would say about you at your next high school reunion. “Where’s Huffygirl?” “Didn’t you hear? Bee sting. Fever and chills. Didn’t seek medical help. Sad.” “What, was she riding her bike without a helmet again?” See, you don’t want that. Oh Todd, you’re so right. I consider myself sufficiently admonished. I think I’ve learned my lesson and won’t wait so long next time. I am so glad you are okay and I’ll hold the lecture, but remind you that you do know better. Next time go sooner…I almost ended up with facial paralysis after waiting to see a doctor from a wasp sting that also turned out bad. Take care and thank hubby for the warm sweatshirt! Thanks for skipping the lecture Techy and thanks for your concern. I’ll be more diligent next time, I hope, unless I’ve forgotten the wages of waiting by then. Your wasp sting story was horrifying – glad you turned out okay. Does he still have that motorcycle? Have had my fair share of visits to the ER. Only recently because of extreme dehydration and heat exhaustion owing to a bout of food poisoning and mid-90 degree weather while helping my daughter move from one apartment to another, had a walk-in doctor order me to the nearest ER. He thought I was having a stroke. After cat scans, an EKG and chest xray showed my bodily parts were all functioning normally, I was released, intravenous fluids having solved the mystery. Yes, it could have turned out much worse than it did. Good thing I didn’t delay any longer. Later when I looked at the pictures from that day, and then next few days after, I could see that I looked really ill. I guess I make a terrible patient. I’m late, and glad this is well in your past now, but thank you! I had never heard of infection from a bee sting either. Something to be alert for. Well, I hope by stumbling upon this one that it will save you from a similar fate Sharon. Ironically, I knew it could get infected, I just didn’t think it could happen to me! Wow, HG! Thanks for the lesson. You are welcome. Of course, don’t wait hours to go get health care like I did if this happens to you.